You should check your car's transmission fluid at regular intervals, like you check your car's oil. Even if your car's service manual says to check it every 100,000 miles, you should check it at least every month or every other month. Most drivers don't feel the need to check the their fluids regularly. They may also think the only purpose of transmission fluid is to lubricate internal components. But it actually does many other things. So before we go about checking the levels and conditions, let's talk about what the fluid actually does inside your transmission. On some vehicles, like some models of the Isuzu Rodeo, you need to remove a plug on the transmission itself to check oil level and condition. And still other vehicles, including some Dodge Caliber models, require no inspection of the fluid. Check your car owner's manual, if necessary. It helps prevent some components from slipping, operating erratically, burning, and wearing too fast. It keeps the transmission within operating temperature, just like coolant does with your engine. Inside of and along with the torque converter—a doughnut-shaped component between the transmission and the engine–transmission fluid works like a clutch, transferring the engine's rotating force to the transmission to move your car along the road. It acts as a cleaning agent. As the synchronizers, gears, bands and other components wear out, the fluid carries away shavings and other harmful particles into the filter to prevent abnormal component wear and breakdowns. And, in conjunction with the oil pump, it operates the transmission's hydraulic system. When you check the fluid's level and condition—and take appropriate measures as necessary—you are giving your transmission fluid the best chance to do these jobs. And, it doesn't take much effort. Unfortunately, unless you make a regular visual inspection, you won't notice a low fluid level, accumulation of harmful particles, or other problems with your transmission until it's too late. Bring your transmission to operating temperature—take a ten-minute ride on the highway and drive back home, or leave your car idling for 15 to 20 minutes. Park on a level surface, set the parking brake and let the engine idle. Check your car owner's manual, though. Some automatic transmissions (like some Hondas) require the engine off to check fluid level. 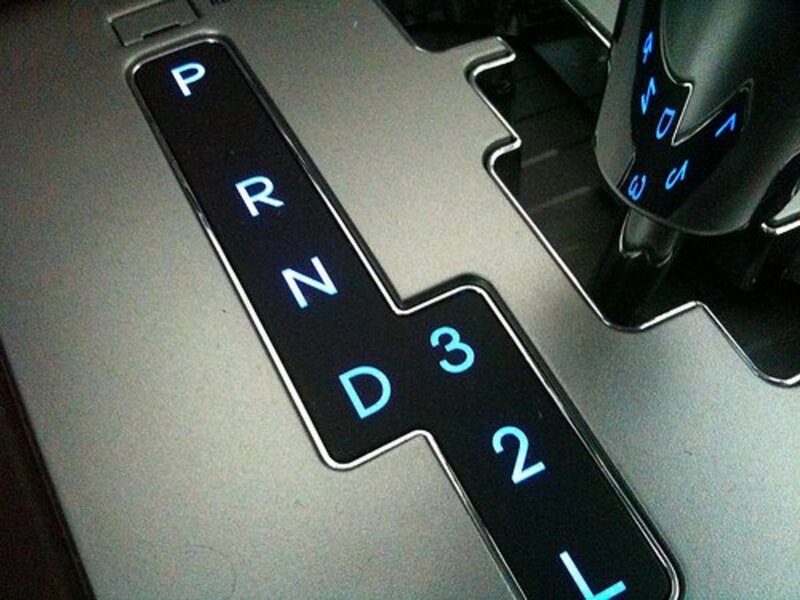 Firmly press down on the brake pedal and shift the gear selector through every gear position and back to Park. Then, apply the emergency brakes. For safety, block the rear and front wheels with chocks. Find the transmission dipstick. It usually sits towards the rear of the engine and close to the front of the transmission. Or look for it in front of the firewall. The handle or top of the dipstick may have an orange or red colored ring. Still others have a black plastic handle that says "transmission fluid." If you can't find it, check your car owner's manual, repair service manual, or call your local dealer. 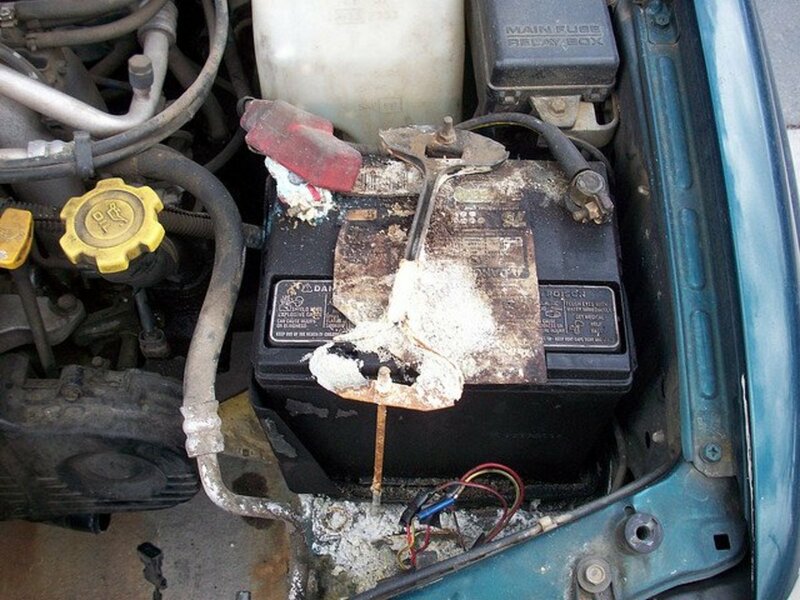 Pull out the dipstick and wipe it with a clean shop rag. Completely reinsert it into the tube. 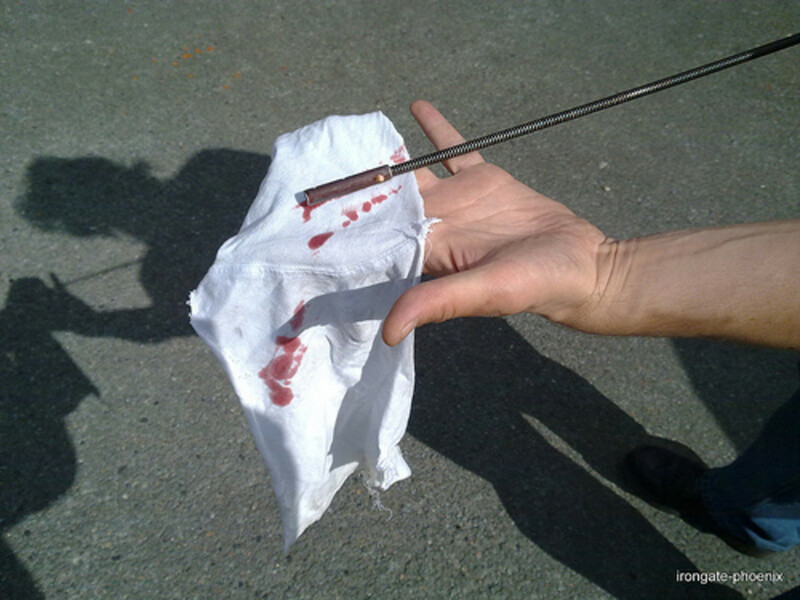 Pull out the dipstick again, rest the tip on the shop rag and read the oil level. It should be between the "Add" and "Full" (Cold - Hot) marks on the crosshatched surface between the marks. The whole crosshatched area represents a quart of fluid. For example, if the level on your transmission dipstick is around the middle of the crosshatch area, you need to add half a quart of automatic transmission fluid for the level to read "Full." Reinsert the dipstick in its tube and repeat your reading once or twice to confirm your reading. The oil on the dipstick should be a continuous, uninterrupted layer without gaps in between. Otherwise, read from the lowest and continuous layer of fluid on the end of the dipstick. If the dipstick says you need to add fluid, check your owner's manual — or vehicle repair manual for your particular vehicle make and model — for the recommended level. The manufacturer might suggest the oil level to reach between the lower ("Add") and upper ("Full") marks, or all the way up to the "Full" mark. Also before you add oil, check your car owner’s manual, repair manual, or local dealer to identify the correct fluid for your transmission. Sometimes that information will be written on the dipstick. There's no one-type-fits-all transmission fluid. Using the wrong fluid may hurt transmission performance or even damage the transmission. When adding fluid, place a funnel on the dipstick-tube opening, add a bit of fluid at a time, and keep checking the level to prevent overfilling. Your car may give you clues that your transmission fluid is low. Sometimes, a slipping gear or hesitation during gear shifts is a sign of low fluid level. 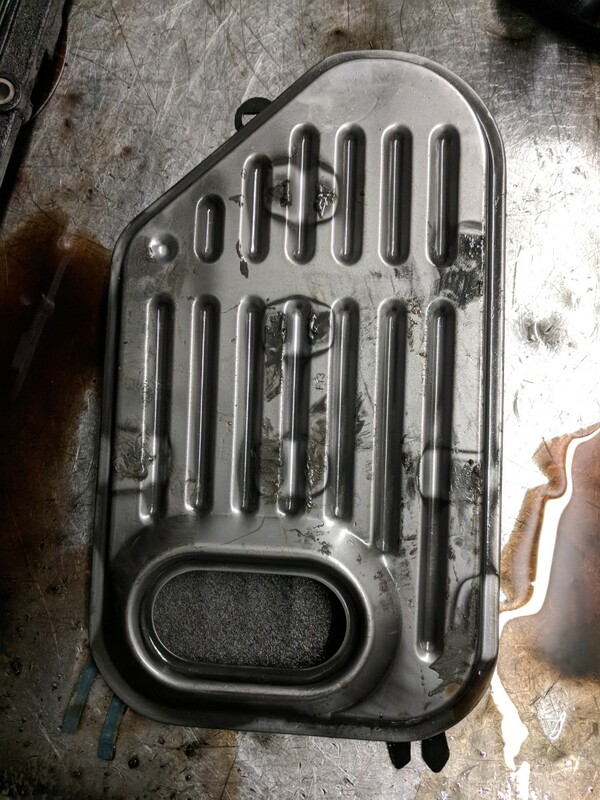 If you find yourself regularly adding oil to the transmission to bring the fluid to the correct level, you are dealing with a loose bolt—in the oil pan, for example—or a defective gasket or seal. 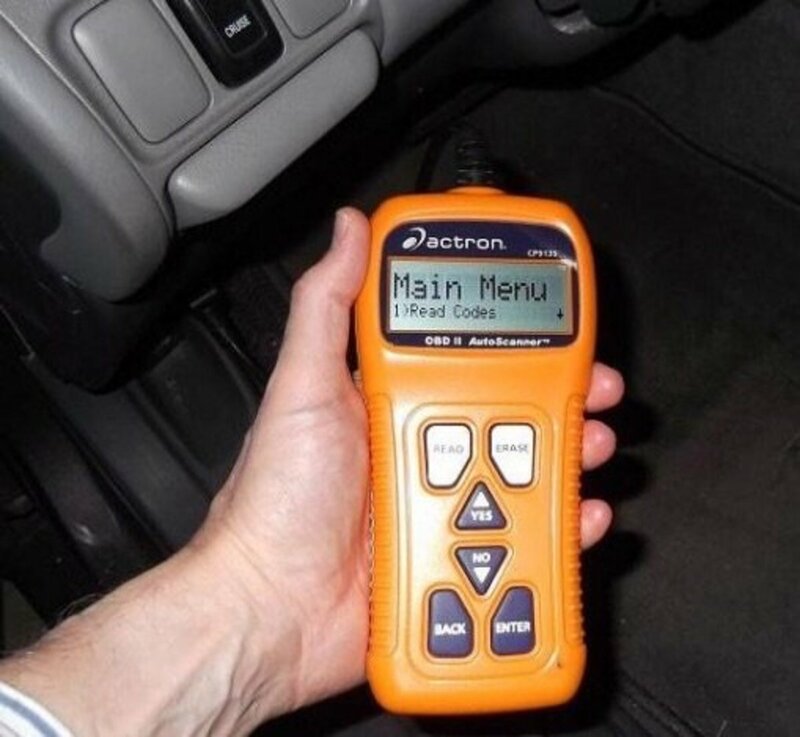 If you are going to diagnose and service your own car, a manual is invaluable. Haynes makes good aftermarket manuals: get the one for your exact make and model. As internal components in the transmission wear out, particles and metal shavings—and less frequently, engine fluid leaks—mix and accumulate in the fluid. Eventually, they begin to scratch components and speed up parts wear. At the same time, they'll affect transmission fluid look and viscosity. So this is what you're going to check for next. Pull out the dipstick from its tube and look at the transmission fluid. Fluid in good condition has a clear or semi-clear reddish color. If the fluid has turned brown or dark, replace it and, if necessary, flush the transmission for better results. 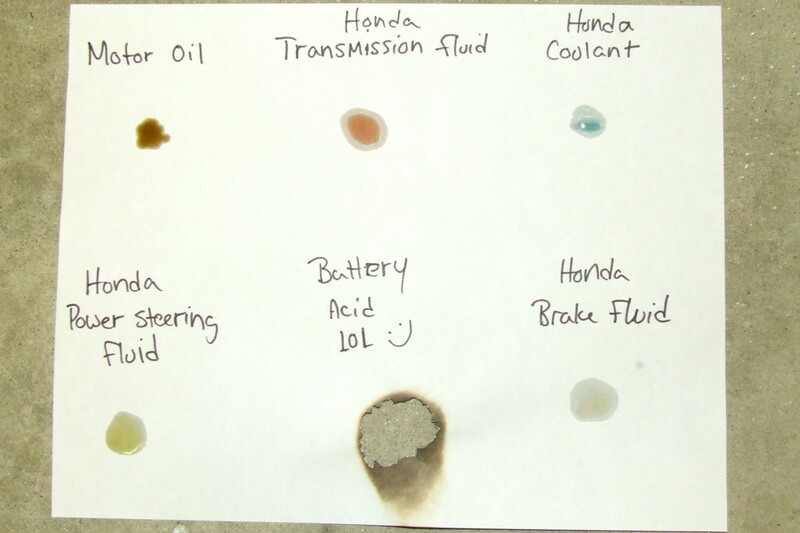 A milky, opaque color may indicate that water got into the fluid through an engine coolant leak, or possibly through the transmission vents after driving through a flooded area. Now, smell the oil. If you notice a burnt odor, the transmission fluid's protective qualities have broken down, internal parts in the transmission are under severe stress, and component wear is accelerating. Friction of internal components creates a lot of heat. 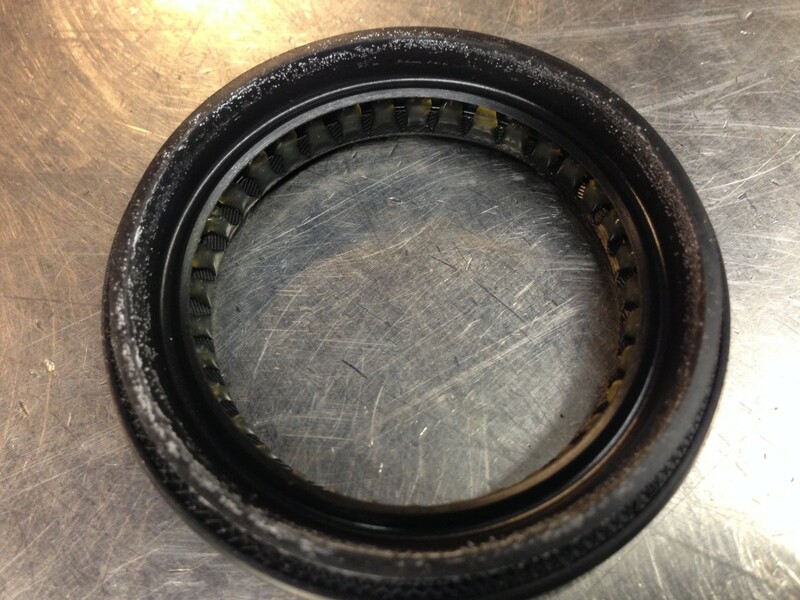 After miles of work, this friction weakens the fluid's lubricating and protective qualities. 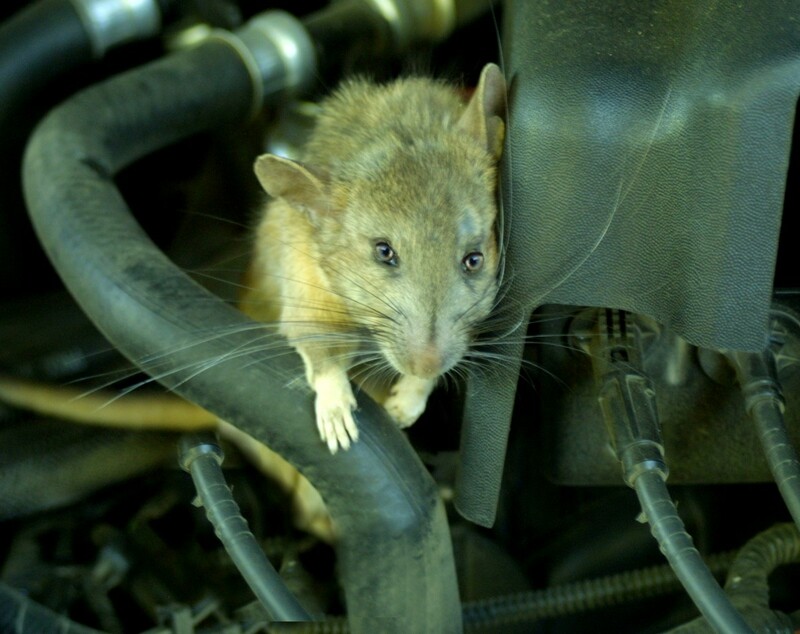 If you fail to replace the oil, your transmission's service life is cut short. 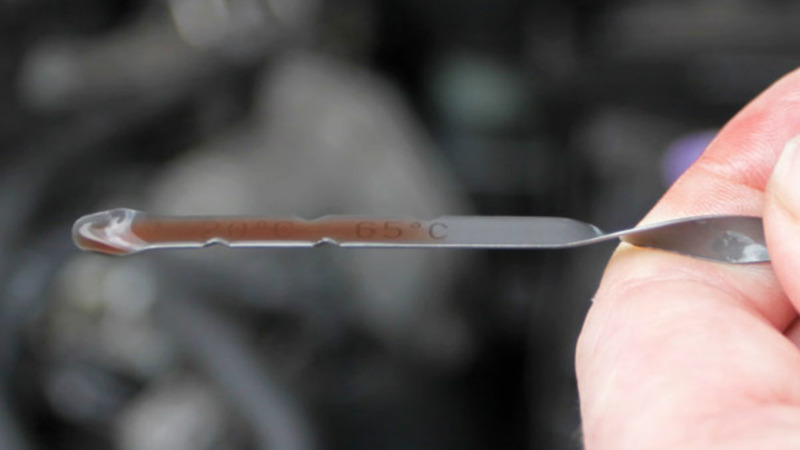 If you've neglected to service the fluid and its working properties have worn out, you'll notice a layer of sticky varnish around the transmission dipstick. This varnish has spread over some internal components as well. It won't be long before transmission performance decreases and components stop working. If you notice this varnish around the dipstick, you may still have a chance to save your transmission. Take your car to the transmission shop, have them flush and service the transmission, and hope for the best. 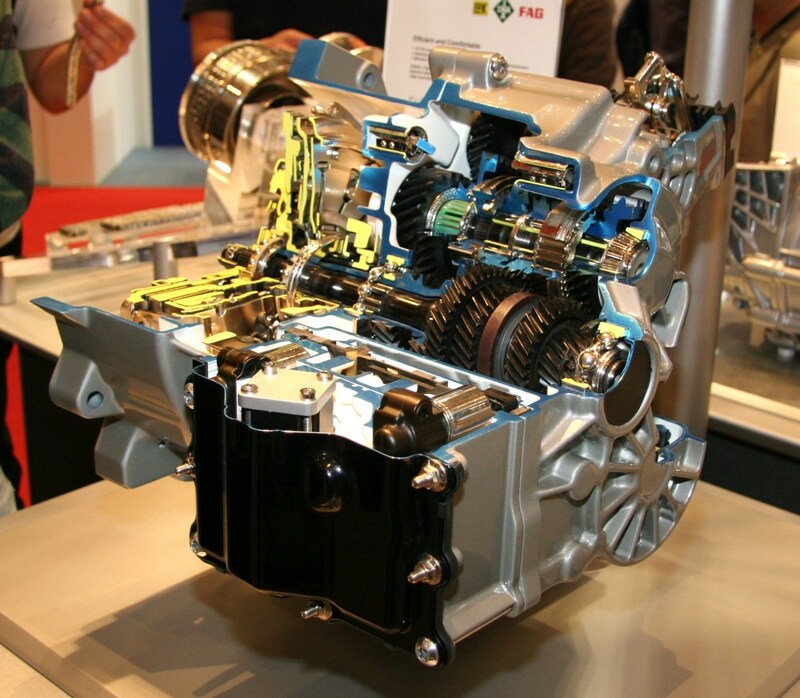 Most vehicle manufacturers recommend servicing an automatic transmission at the 60,000- or 100,000-mile mark. However, don't wait until the next suggested service interval comes up. Different driving patterns affect transmission fluid in different ways. Most of us hardly drive under normal conditions. City driving, especially, is rough on engine oil and transmission fluid. 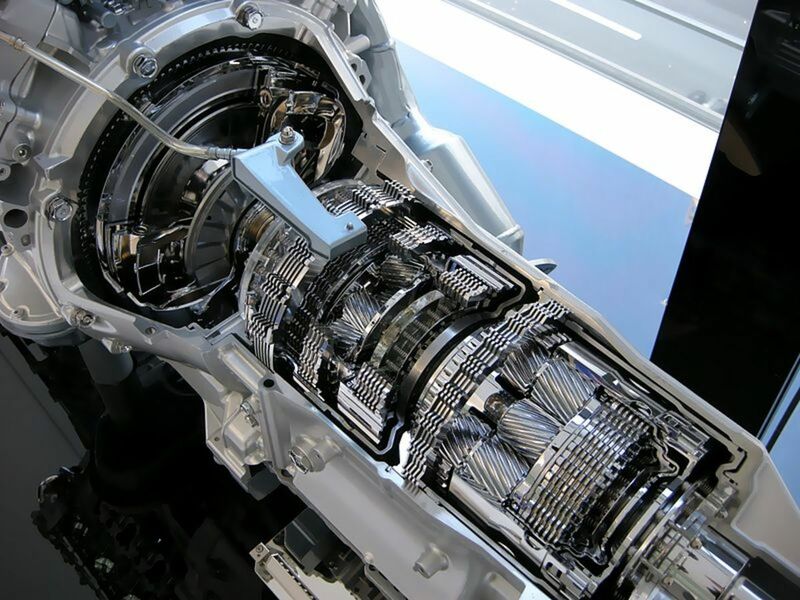 Low fluid and high contamination levels not only harm the transmission's internal components and affect its performance, but also reduce your transmission's service life. Get familiar with the service facts of your particular automatic transmission through your car owner's manual or repair manual, and check it at least every month or every other month. Checking automatic transmission fluid doesn't require any skills. And it only takes you about a minute to check fluid level and condition whenever you need to stop for gas or whenever you need to pop the hood open. This way, you not only keep an eye on your transmission but avoid surprises by catching potential problems before they turn into expensive repairs. How do I check transmission fluid on a 2007 Nissan Versa?